Four more birds had name changes; White-headed Stilt to Pied Stilt, Southern Crowned Pigeon to Scheepmaker’s Crowned Pigeon, Indigo-crowned Quail-Dove to Purple Quail Dove, and the Admirable Hummingbird is now the Talamanca Hummingbird. Okay so far. 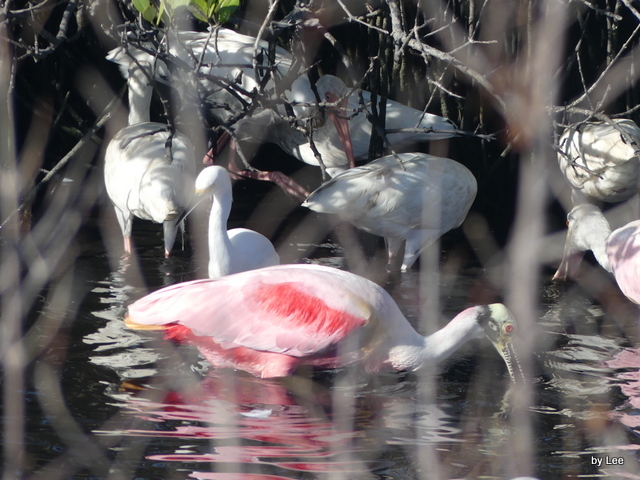 When we were at Merritt Island NWR in late December. 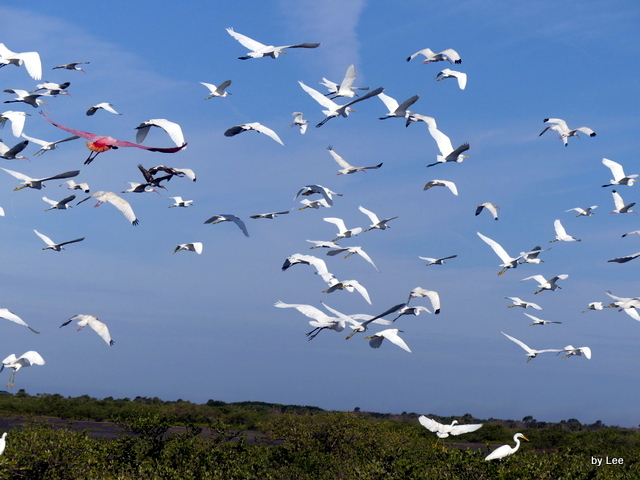 There was a mixed flock of birds along the trail eating and drinking, then something spooked them and they all flew up at once and scattered. (Photo taken through the windshield) Why mention this? 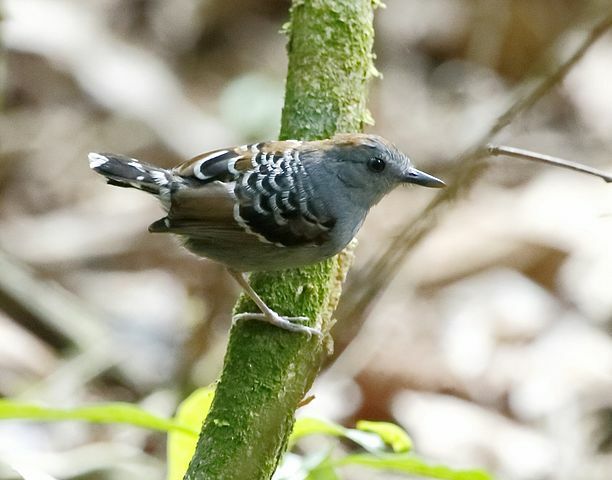 The Antbirds, of the Thamnophilidae Family, were relaxing in their Taxonomy order within the family until the IOC decided to throw them all up in the air. All 236 have landed in a totally different sequence than before. So, the dust is flying as I am working on the newest update. 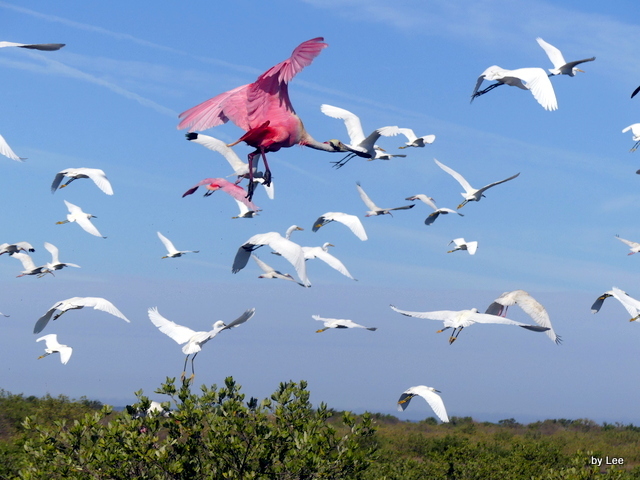 Last week’s Sunday Inspiration featured the “first four bird families, taxonomically, in the Passeriformes Order (Songbirds)” This week we will continue with the next three families. 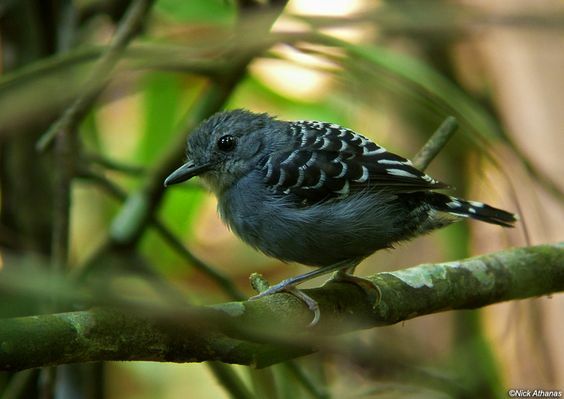 They all have “ant” birds in them; Antshrikes, Antwrens, Antbirds, Antthrushes and Antpittas.. 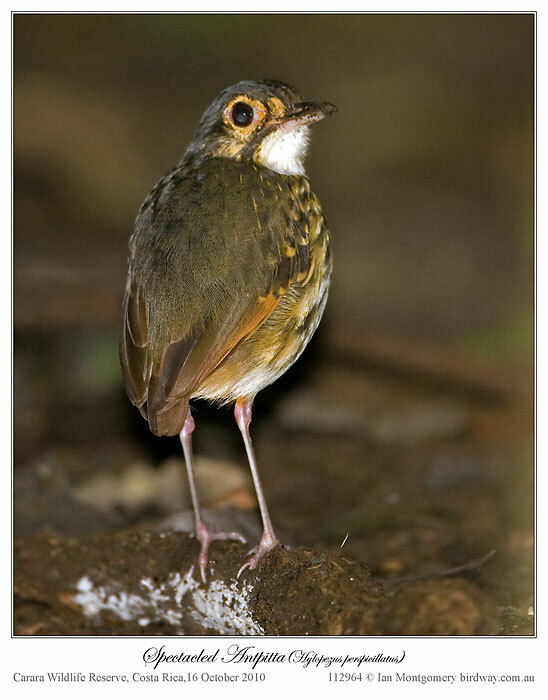 The Thamnophilidae – Antbirds family does have a few Bare-eyes.